A row broke out at Cupar Community Council this week over plans to meet the developers behind the controversial Cupar North proposal. A public meeting is scheduled for the morning of March 18 which all Cuparians are being urged to attend. But a decision to wait until after the event to seek a meeting with the developers came under fire from community councillor Gordon Pay, who said talks should have been held long before now. He wanted to see a meeting set up with planning consultant David Wardrop, who represents the Cupar North consortium, and Fife Council planning officials as soon as possible. 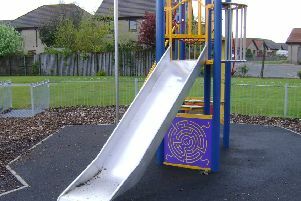 However, after some heated exchanges, he was outvoted on the issue and it was agreed that a decision would be taken at the community council’s next meeting on March 28, once feedback from the public meeting had been analysed and revisions to the Cupar North masterplan have been completed. MSPs Willie Rennie, Alex Rowley and Murdo Fraser have all said they plan to be at the public meeting on March 18 and although North East Fife MP Stephen Gethins is not available that day he has sent the community council a letter condemning the Cupar North plans. Fife Council’s executive committee has now rubber-stamped the local development plan, which includes Cupar North,and there is little or no scope to change it. The committee voted to approve the plan by 14 votes to four on Tuesday despite Mr Rennie’s plea to put the Cupar North part on hold. Mr Rennie, who represents North East Fife at Holyrood, said: “Building 1400 homes on the northern aspect of the town over the next two decades will be the largest and fastest expansion that the old county town of Fife will have ever experienced. The debate over Cupar North has been dragging on for more than a decade. The idea was first mooted in 2005 but was put on hold when the recession hit. The consortium comprises Headon Developments, Persimmon Homes and Vico Properties Ltd. Meanwhile, the community council is seeking volunteers to help distribute 500 leaflets to local households this Monday, March 6, at 7pm at Cupar YMCA. The public meeting takes place in the Corn Exchange from 10am to noon.